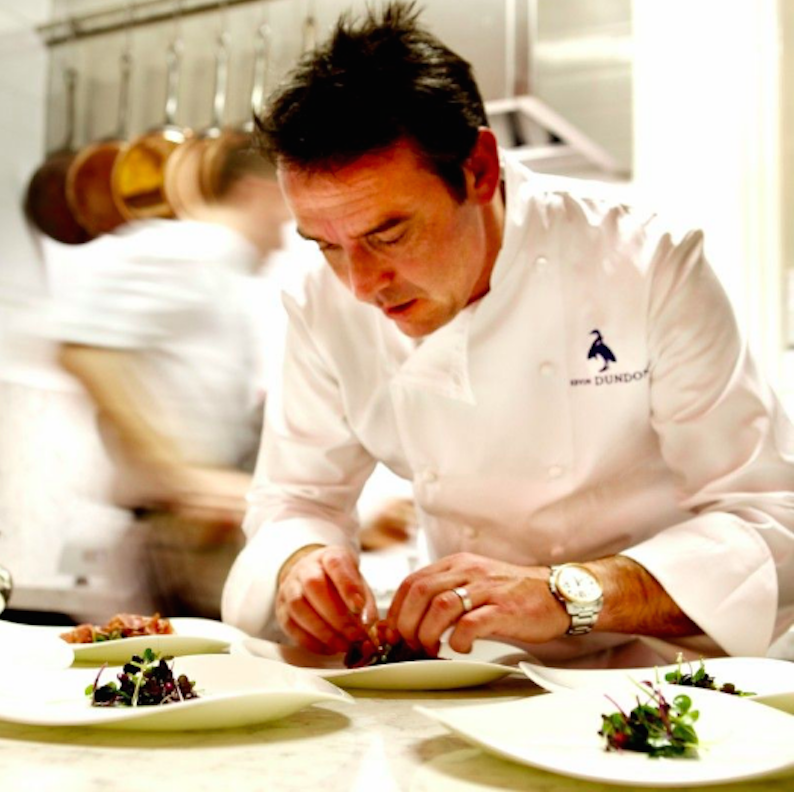 With celebrity chef Kevin Dundon at the helm, our stay in Dunbrody House was always going to be about the food. 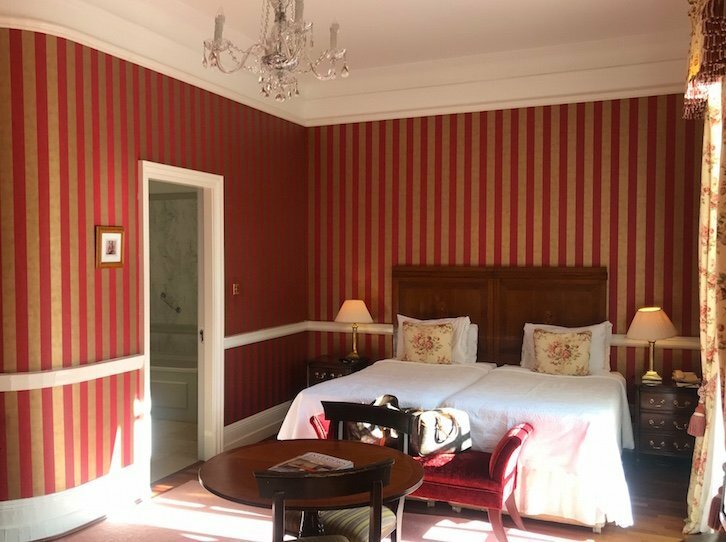 However, it did win ‘Luxury Country House of the Year’ by the Luxury Travel Guide and is a long time member of Ireland’s Blue Book, so is there more to Dunbrody House than just good food? I have always been a food lover, my mother often reminds me that when I was a little girl, I used to ask three days in advance what we were having for dinner. And when my sister married a two-michelin star chef 30 years ago, food became an integral part of our family life – you can imagine what it was like at the early stages when he was invited to dinner! My career in travel developed my palette too. From Spain to Sri Lanka, no matter where I travel, I love trying local foods. So when Ireland’s Blue Book invited me to stay in Dunbrody House, I jumped at the chance. Dunbrody House is renowned for using fresh local ingredients. Their seasonal dishes include Comeragh Mountain Lamb in Spring, Fresh Duncannon Crab with Dressed Baby Leaves in Summer and Slow Cooked Haunch of Venison in the depths of Winter. 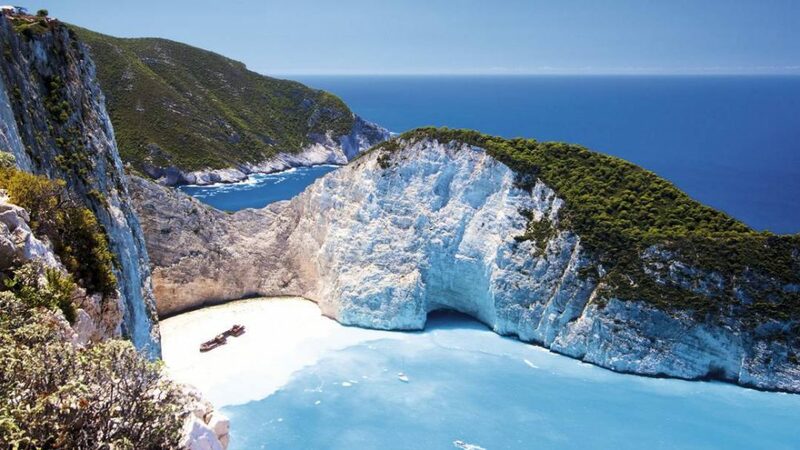 I think I need to visit during every season….. But other than having great food, I didn’t know too much about Dunbrody House, which was probably not a bad thing. I set off with my good friend Ita, with a completely open mind, for a rare girls night away! After a leisurely two hour drive from Dublin we arrived at Dunbrody House. Set in 300 acres of parkland, you get the impression you are arriving somewhere special as you drive the tree lined road up to the house. We were greeted by a magnificent crimson coloured creeper that hugged the side of the 1830’s Georgian manor. The hall door, wasn’t bad either! I had to grab a quick snap before we were shown to our room. We were warmly welcomed by Catherine Dundon, who quickly showed us around and led us to our spacious deluxe room. It was elegantly decorated in typical country house style, with added modern touches of an iPhone docking station for tunes and Nespresso coffee machine. 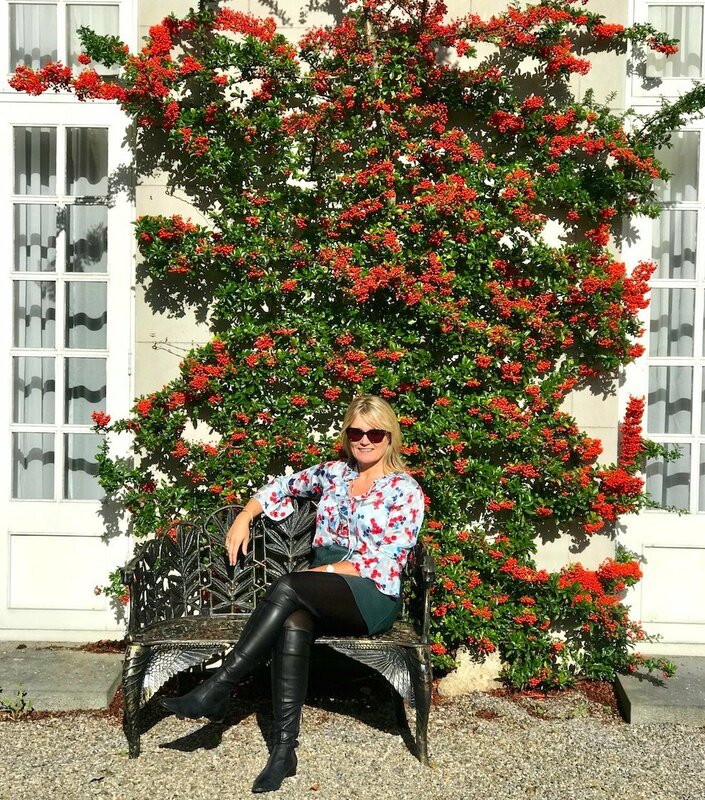 I loved the views of the grounds from our windows and that we were able to walk directly through French doors into the garden. 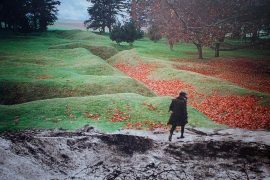 The gardens were so well kept but as much I loved the Autumn leaves, I couldn’t help but imagine how different the house and the gardens must look in different seasons. The spring daffodils, crackling log fires in the period fireplaces in the winter, I think Dunbrody House must have a rare talent of being able to appeal at any time of year. We arrived just in time for lunch, obviously well planned . 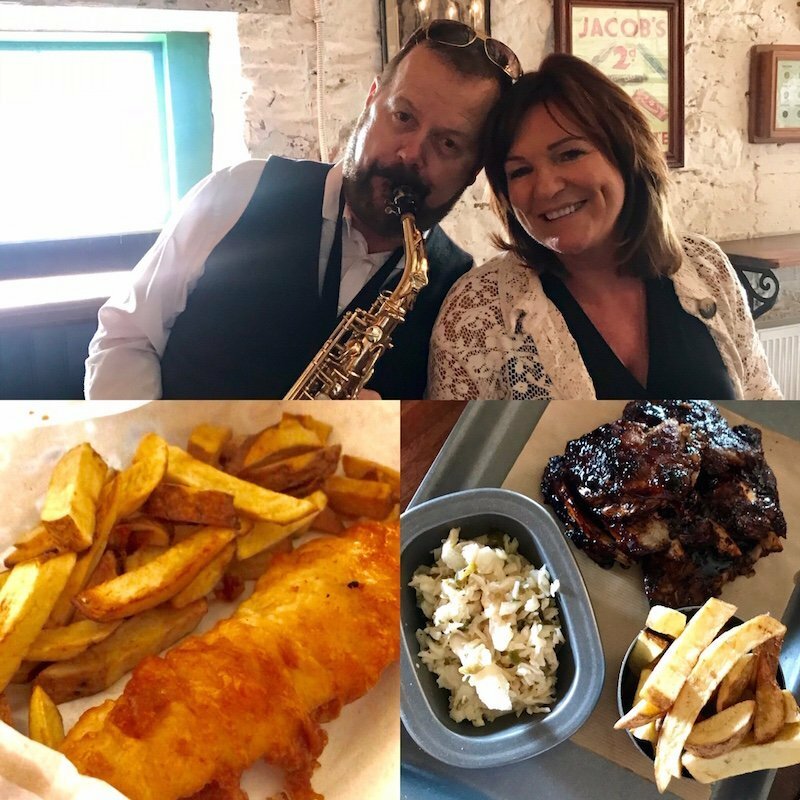 Dundons Champagne Seafood Bar, which serves outside on the terrace in the Summer months, did initially take my fancy, but when we heard there was a cosy country pub on the grounds, we had to investigate. ‘The Local’ was a big surprise for me. I had read on their website that there was a pub on-site but I never expected it to be so authentic. We loved it. It is located just meters from the house, yet we never felt like we were in a hotel at all. We arrived on a Sunday which is when they have Jazz brunch from 12-4pm. The ‘girl from Ipanema’ was playing when we walked in. They make craft beers on site and they have REAL fish and chips. I was in my element. The fish and chips was delicious. The fish was beer-battered and served with chunky chipper style chips, in chip-shop paper! They also have stone-oven baked pizzas, gourmet burgers and American style pancakes. My friend Ita opted for the porter glazed rack of pork ribs, spiced slaw and chips – it was finger-licking good. 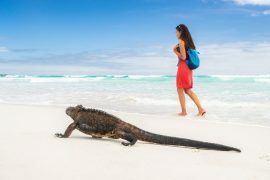 It is not only hotel guests that frequent The Local. 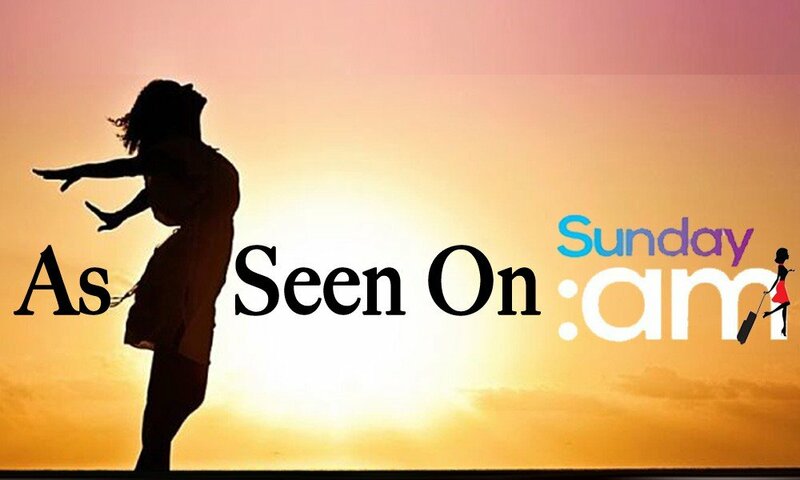 They offer live music every Friday and Saturday night as well as the Jazz Sunday brunch. Customers are brought home on the ‘Safe-Home’ shuttle bus to Arthurstown, Duncannon, Ramsgrange and Ballyhack! If only there was a ‘Safe-Home shuttle’ in my local…..
We decided to walk off our lunch by strolling down to the village of Arthurstown. This was actually a lot closer than we thought, we were there within minutes. This pretty little town has a quaint harbour which we explored and a cool country bar, the Kings Bay Inn. It had the perfect outside table with our name on it. It was a balmy sunny evening and we had perfect sea views – we had to stop for a dink, sure we were on a girls night away after all. After our cocktails by the sea, it was time to go back to the house for some chill time before dinner. It is strange that I would call it a house rather than a hotel, but that is really what it feels like. 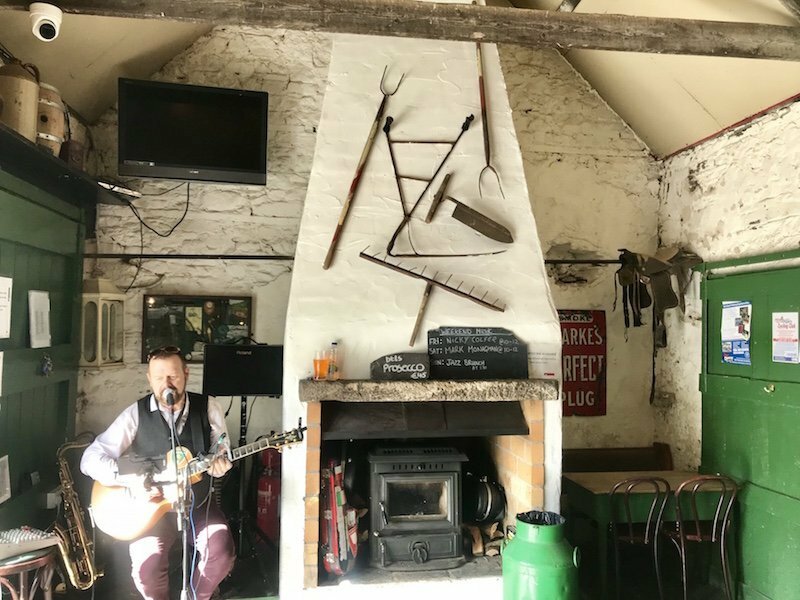 Husband and wife, Catherine and Kevin Dundon, own and operate Dunbrody House and have created a traditional homely atmosphere. Although they no longer live in the house, Catherine admitted she spends most of her time there. In fact, she only had one day off during the month of August! Her passion was infectious and she was only too happy to show us around the grounds. In between the herb and vegetable gardens there were sculpted tree trunks and deep forests, we even came across one of the resident horses. 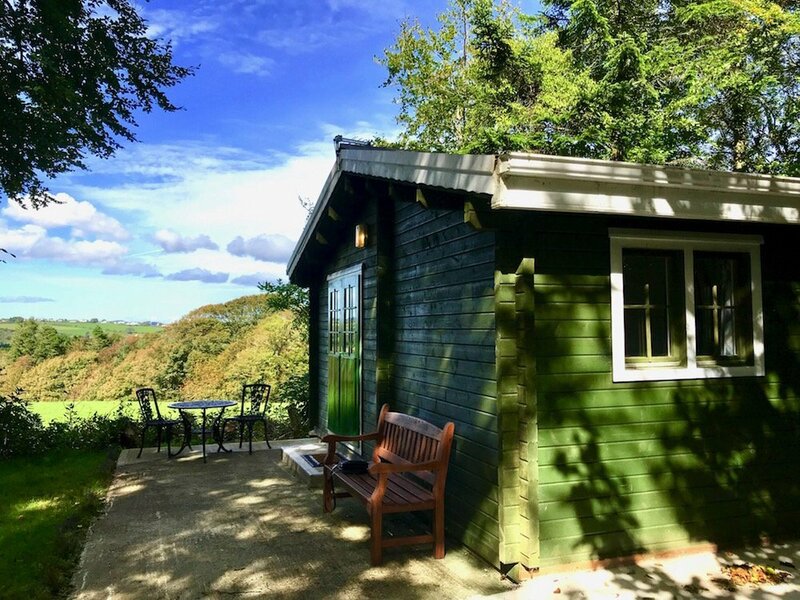 I loved the ‘cosy cabin’ – a self contained two bedroomed house with stunning views over the valley. This would be ideal for a family stay and they even sell it on AirBNB – my mind was working overtime! They also have the 1830’s Stewart’s House, complete with an open fire, which suits families or up to six adults. It was time for dinner. After a delicious rhubarb cosmopolitan in the bar, we went into the Harvest Room. It felt more like a classy restaurant than a hotel dining room. Although I must admit, I have had better scallops, the Dunbrody double joint was incredible. They have a different daily roast for two each day, but this was probably one of the best beef joints I have ever tasted. It was perfectly cooked and bursting with flavour. I loved the presentation too, served with mouthwatering beef cheeks in a red wine jus and bearnaise sauce, accompanied with fresh vegetables that I can only assume came straight from the garden. Our desserts were delicious too, I had the almond tart and Ita opted for the dark chocolate and praline filled macaroon with amazing praline ice cream. 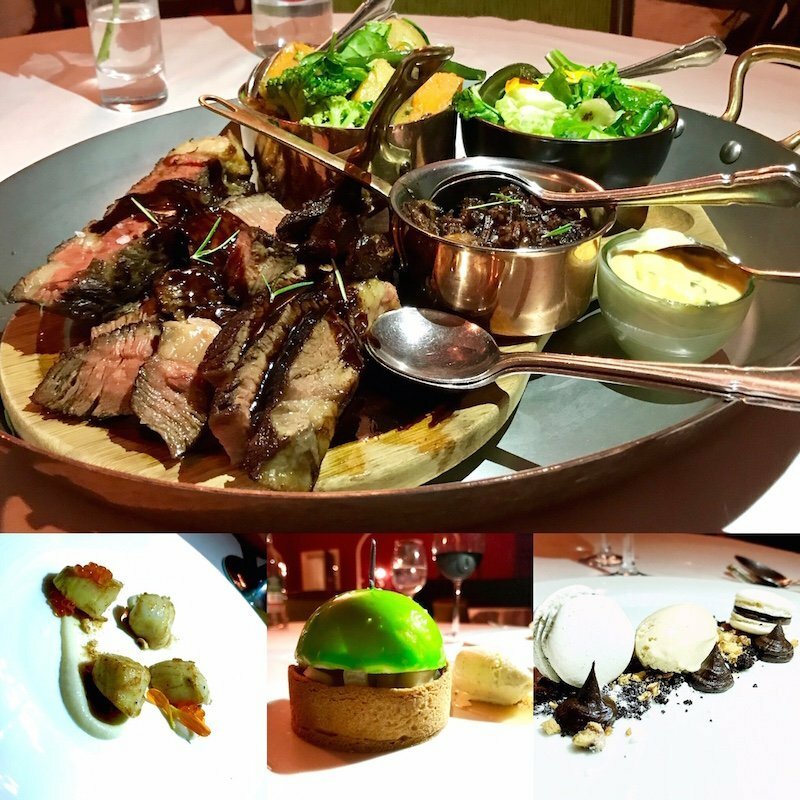 We were guests of Dunbrody House but our three course menu was priced at €70 per person which included the €5 supplement for the beef joint – a little pricey, but worth it in my opinion. We fell into our comfy beds, complete with goose down pillows and orthopaedic mattresses! We actually had an early night, not exactly a wild girls night out, but it was exactly what we wanted – cocktails, delicious food, wine and lots of girly chats! We woke fresh the following morning, not fresh enough to help make scones in the kitchen at 7.30am (which guests are invited to do), but early nonetheless. I attempted to fly my drone instead (not my finest hour – it crashed into one of the trees!) so we decided to take another stroll around the grounds before going for breakfast. I loved being in a country house, it felt so relaxed, we could read the papers in the drawing room or ramble around the grounds. Dunbrody House also has a cookery school which is offers a variety of courses from beginners to specialised courses for gourmet chefs. The two-day ‘Dinner Parties for Six’ course sounds like a winner to me! All of the courses have been personally designed by Kevin Dundon with an emphasis on using locally-sourced ingredients and simple recipes. A word of warning – you will need to book in advance. There is spa on-site too, which we had a quick tour of. 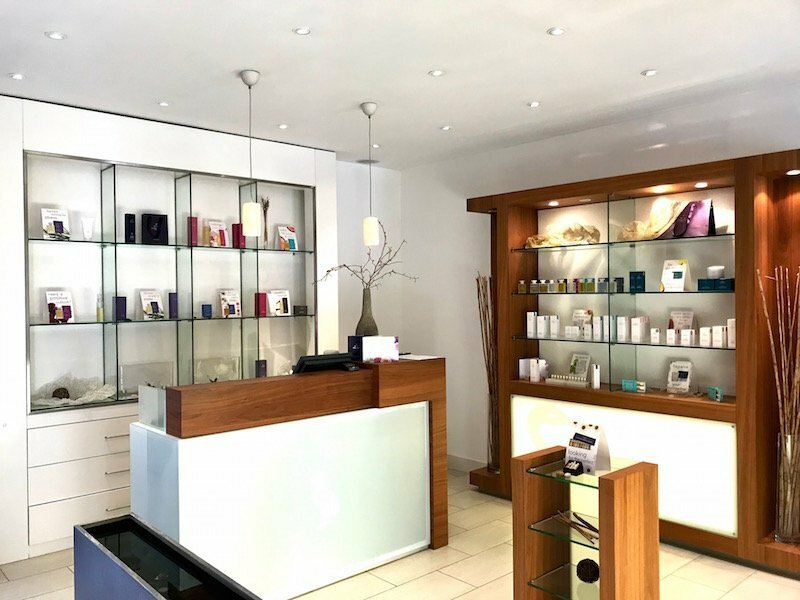 The spa offers a wide selection of treatments using Aromatherapy Associates London, an Asian-styled Serail steam & mud room as well as a relaxation room with day beds. It was one of those moments when I wished we had another day. In true Dunbrody style, breakfast is served until 12 o’clock, and boy did we take advantage of it! We were seated at a perfect table overlooking the grounds so we stayed there for over an hour. We enjoyed muesli from the buffet counter and a mini full-Irish – that was definitely not mini! How I managed it, I don’t know, but I couldn’t resist the homemade scones with jam and cream afterwards…. It was time to say goodbye to Catherine and all at Dunbrody House. We left with heavy hearts but full tummies, to discover the surrounding area, before our drive home. Country House Hotels can sometimes be quite isolated but not Dunbrody House. There is so much to see and do close by. 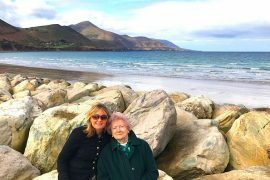 We took the scenic coastal drive around Hook Peninsula, the culmination of Ireland’s Ancient East. We stopped briefly at Hook Lighthouse, the world’s oldest working lighthouse. 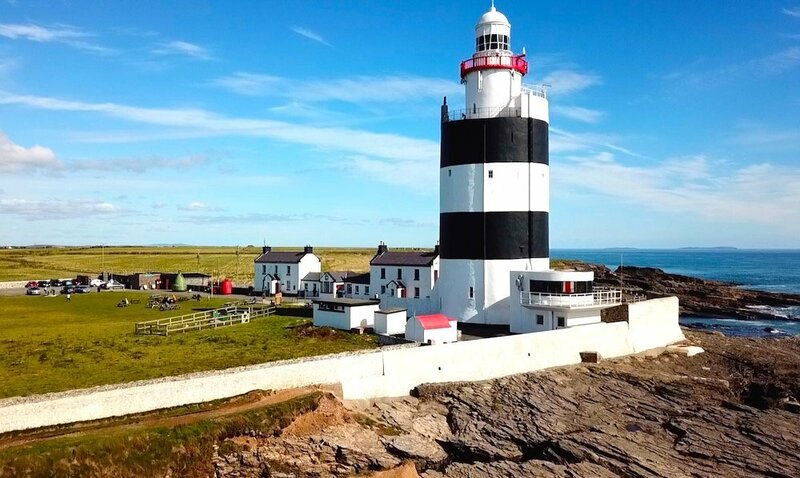 Not only is it one of Wexford’s top attractions, but it is one of Ireland’s too. Dunbrody House is also close to the Dunbrody Famine Ship, Tintern Abbey, The Kennedy Homestead and Loftus Hall – Ireland’s most haunted house! 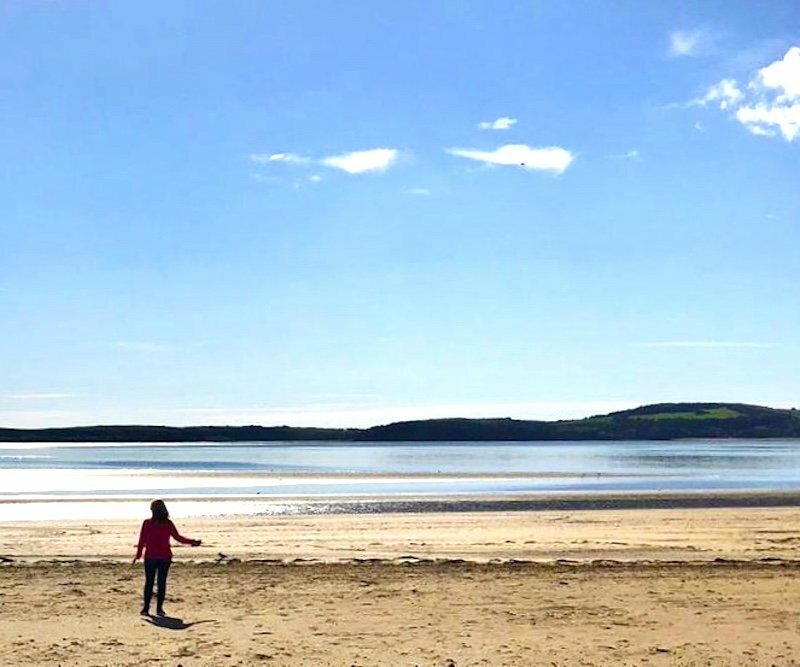 Needless to say we didn’t have time to see them all, but we did manage a brief stop in Duncannon Beach – a spot I would certainly like to come back to. 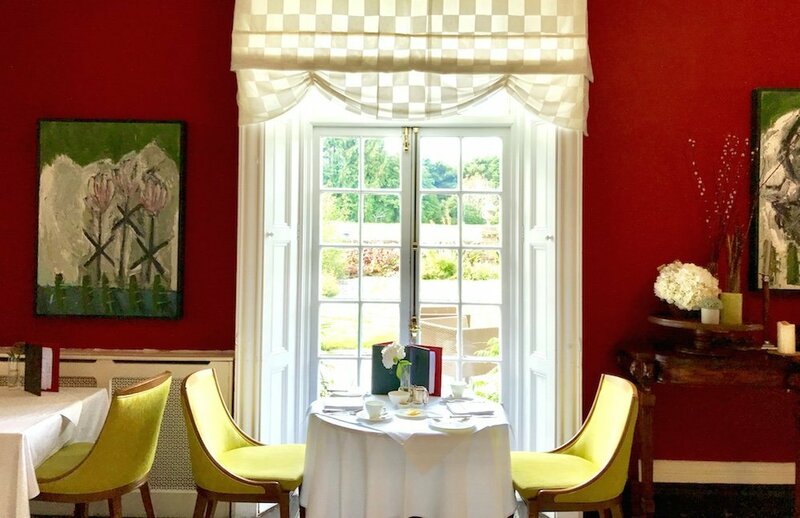 Yes Dunbrody House most definitely has a foodie focus, in fact it is rare that a country house with twenty-two rooms has three different dining options. But it is not only the food that makes Dunbrody stand out as one of Ireland’s luxury Country Houses. 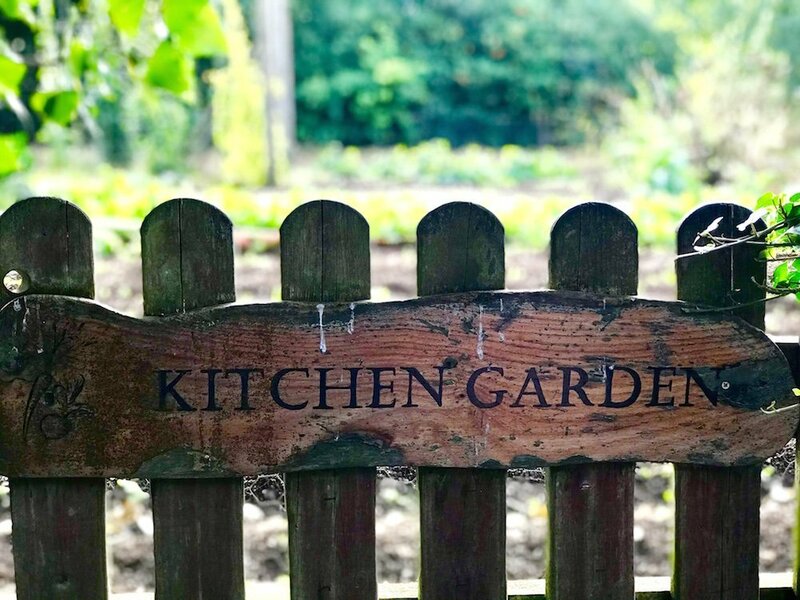 It’s old world charm makes you instantly feel relaxed, the facilities on site such as the spa and cookery school, as well as 300 acres of grounds to get lost in – will make you want to come back for more. Sure I would have to try the Comeragh Mountain Lamb in Spring – right? Prices from €75 per person sharing in low season for bed & breakfast but I think the dinner, bed & breakfast is the best option. 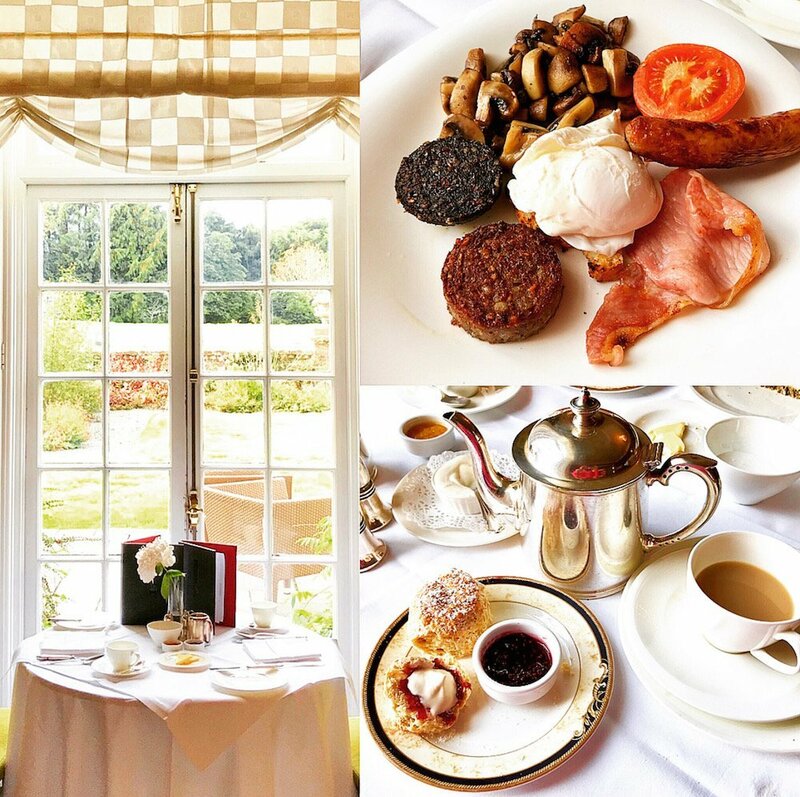 Priced from €145 per person including a late check-out till 2pm (great considering breakfast is served till 12 o’clock!) and a complimentary room upgrade when using a Blue Book Voucher. This post was sponsored by Ireland’s Blue Book, but all views, as always, are my own. 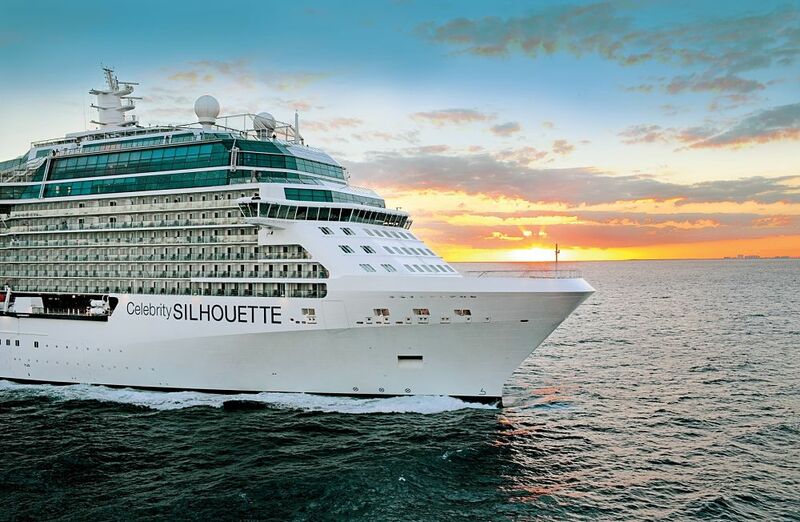 Next articleDoes Norwegian Cruise Line Offer The Best All Inclusive At Sea?